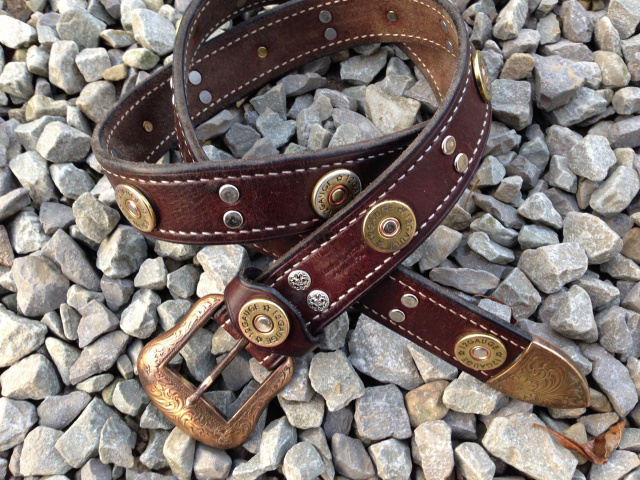 Handmade Ranger Belts, Golf Concho Belts, Dress Belts, Needlepoint Belt Finishing, Money Belts, Rifle Slings.. More! 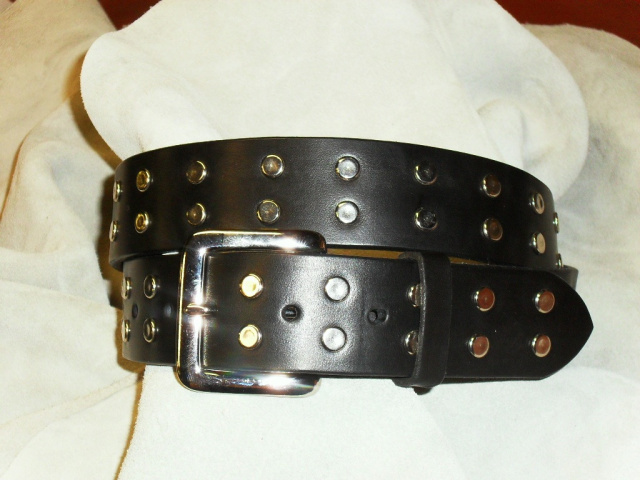 From dress to the west and golf courses in between our belts are the finest hand crafted belts you'll find. 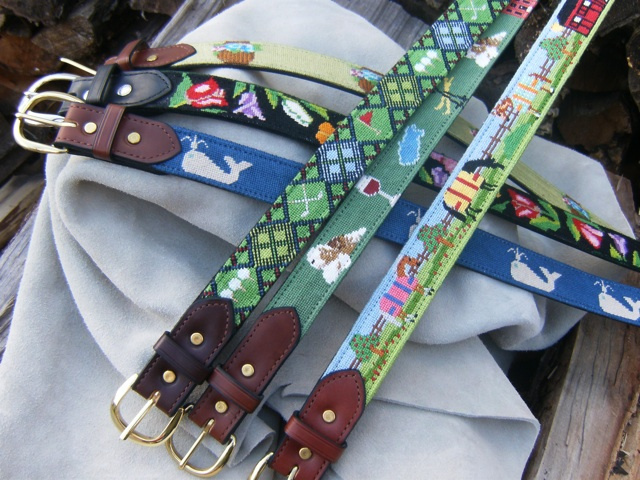 Our belts are totally hand made in our Apollo, PA shop. 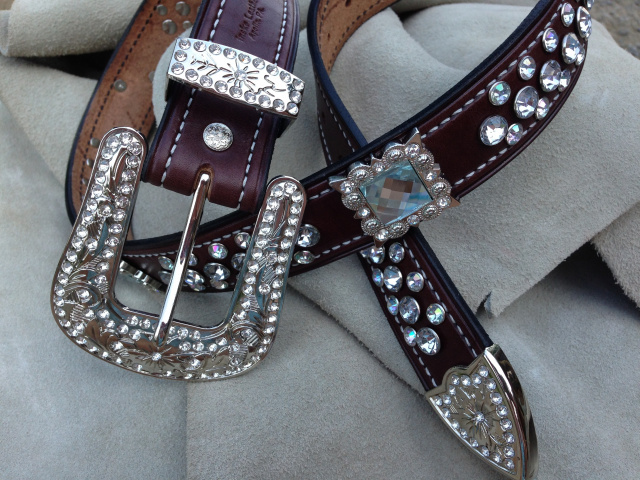 We cut each belt from a full English bridle Leather cow hide, crease, emboss or stitch and finish with beautiful buckles and conchos that are made to last! We don't use any fillers or layers stitched together... just fine leather... and we don't charge extra for longer belts! MADE IN APOLLO USA! Please take care to measure correctly (see our "Belt Sizing" page). TO SEARCH FOR PARTICULAR ITEMS... MAKE A SELECTION AT LEFT AND GO TO BOTTOM OF LIST AND SELECT "FILTER"
If you have a paypal account our site will direct you to pay for your purchases through your account, if you don't, you can use a credit card. Just order your products and follow the prompts to put your credit card info. into the secure paypal system. You can then choose to let paypal keep your info or not. It's easy! Thanks for shopping with us!